Ever use your iPhone to connect to a public WiFi? If so you need Le VPN app for iOS Internet-connected devices. iOS operated devices, iPhones and iPads, have many attractive features including the fact that they are relatively free from hacking and viruses. That being said they are still subject to digital attack and once you connect to the Internet anything you send across it is susceptible to leakage, intercept and theft. The good news is that there is a solution and that is VPN. Le VPN has created custom VPN technology for these devices built on IKEv2 protocol using “military-strong” encryption to ensure the ultimate in online security. The number one use for VPN by mobile users is to secure connections since most use of mobile is away from home and over public WiFi hotspots or other easily identifiable WiFi connections. Once enabled the VPN creates a secure connection with a dedicated server in one of over 100 countries around the world. The connection, referred to as a “tunnel”, bypasses the ISP server to allow for unrestricted connections that are nearly impossible to detect. Even if it is detected, or even intercepted, which is unlikely, your data is encrypted using the most advanced algorithms available to ensure that no leakage is allowed. The best part is that your IP address is always masked by the VPN server. This prevents anyone or any software from back-tracking your connections for the purposes of doing you or your device harm. The added benefit is that masking the IP address has a number of unintended consequences savvy mobile users can take advantage of. The number one is avoiding geo-detection and evading geo-restrictions which basically means you can unlock, access, stream and use virtually any content on the Internet. All you have to do is log-in through a server in their country and access TV, movies, social media, games and news that are typically only available to locals. 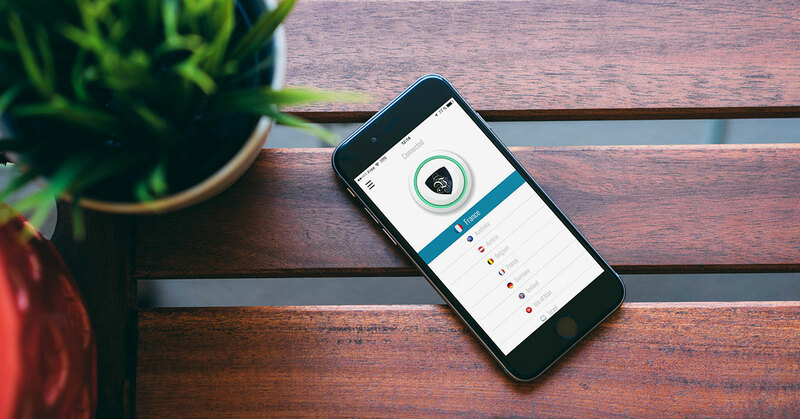 7-day Free Trial For All New Le VPN Users! Believe it or not it does not take a degree in Computer Science to use Le VPN. All you have to do is download the Le VPN iOS app and set up an account. New accounts only require an email address to set up, there are never any logs kept and all your use is completely anonymous. You can also take advantage of an exceptional 7-day free trial available to all new clients! The recommended account is a 1 year contract which costs less than $5 per month but you can go month to month as well. There is no limit to the number of devices you can enable with the app but only two can be connected at a time. Once connected there is no restrictions on bandwidth. To connect with the VPN servers all you have to do is open the app, chose the server in the country you want to connect through and click ”connect”. It goes without saying you are going to be using your iPhone or iPad to connect to the Internet. It also goes without saying that the Internet isn’t always safe. If you want to do the one and ensure the other, Le VPN is the way to go. 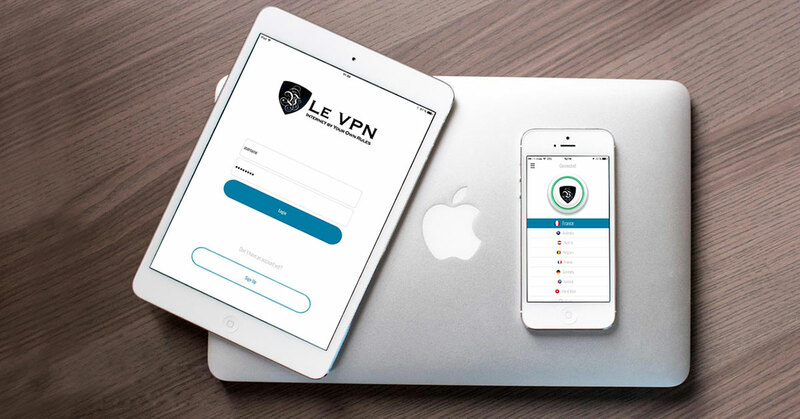 Try our latest version of Le VPN app for iOS and keep the internet connection of your iOS devices safe and private at all times. With plans as cheap as $4.95 there is no reason not to get Le VPN now.